My previous entries may have suggested that the above Star Wars quote reflected my personal view on the Ramblas area (it does). In my defence I am fairly sure that residents of any major city would have a fairly similar view of the area where most tourists make their base. At the weekend I was chided by Mrs Juanmanandhisdug that on our first visit here we loved wandering up and down it, enjoying its Zoomer-spotting opportunities. I reluctantly agreed so, this very morning, I took a wander down and was reminded that it has its charms. 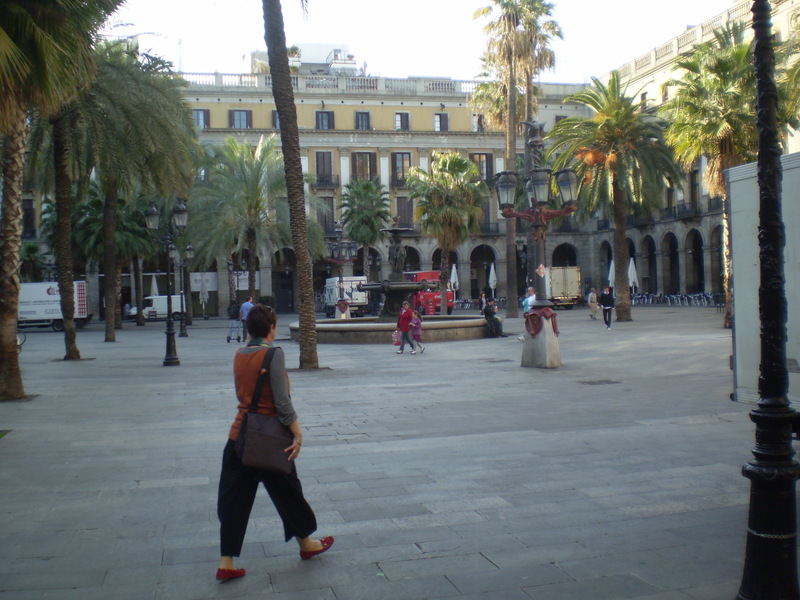 I’ll start with Placa Reial, a large square just off the Ramblas approximately halfway down. 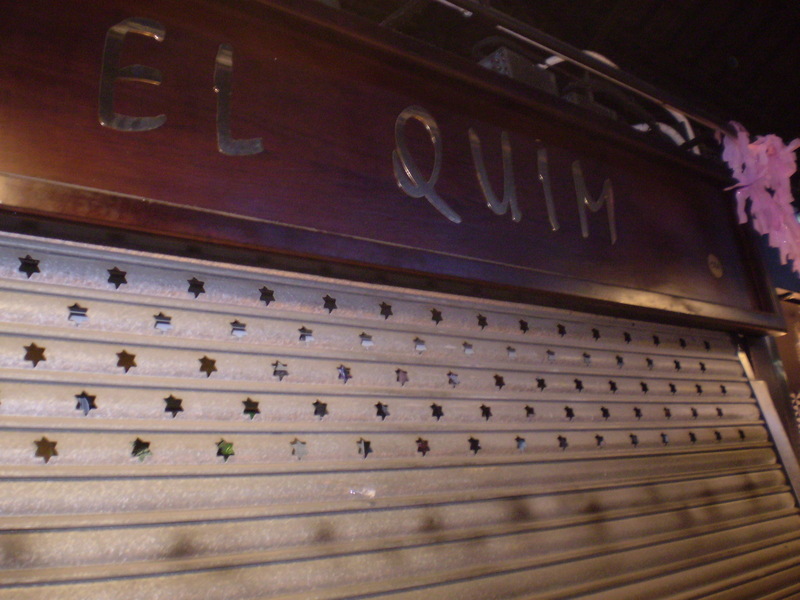 Around the edge of the Placa you’ll find a wide variety of bars and restaurants that are definitely better in quality than those on the Ramblas and offer great zoomer spotting facilities as the Placa does have a magnetic quality for those in need of prescription medication. With regard to the prices these are a little higher than the places I have recommended so far but that has to be put in the context that the Placa is essentially “tourist central” in a major European city. 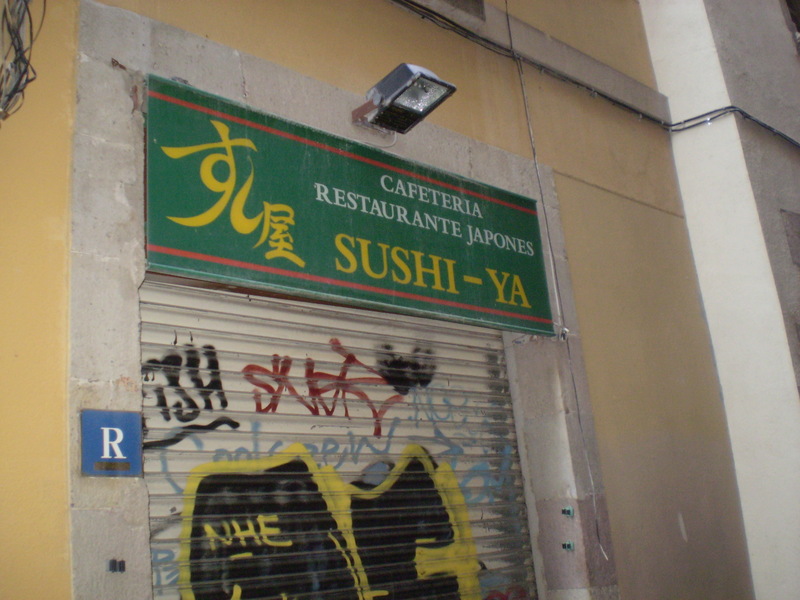 If you are looking for some value, a short stroll from the square if you go along Carrer Ferran, and turn left, up a lane at Maoz Falafel (see prev entry) there is a cheap japanese restaurant called Sushi Ya. 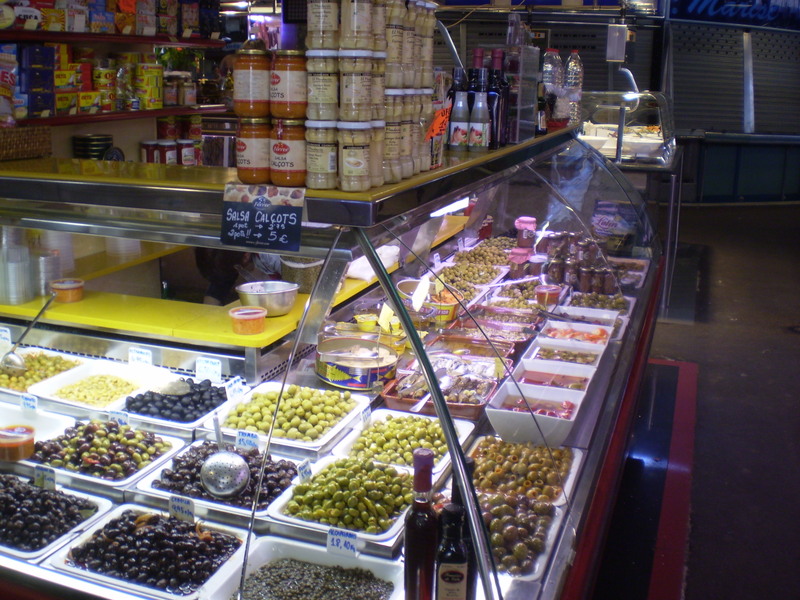 The food is decent and is definitely good value for money in the context of the area. 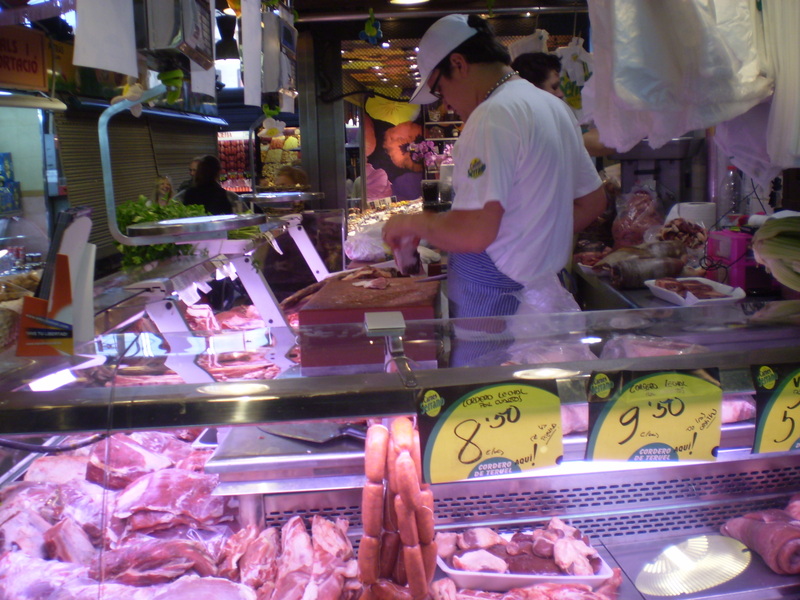 As I said earlier, just wandering around taking in the sights and smells is a fantastic experience and one that, if you love your food, you should not miss. And this little piggy went "Who do you think I am, Heather Mills?" 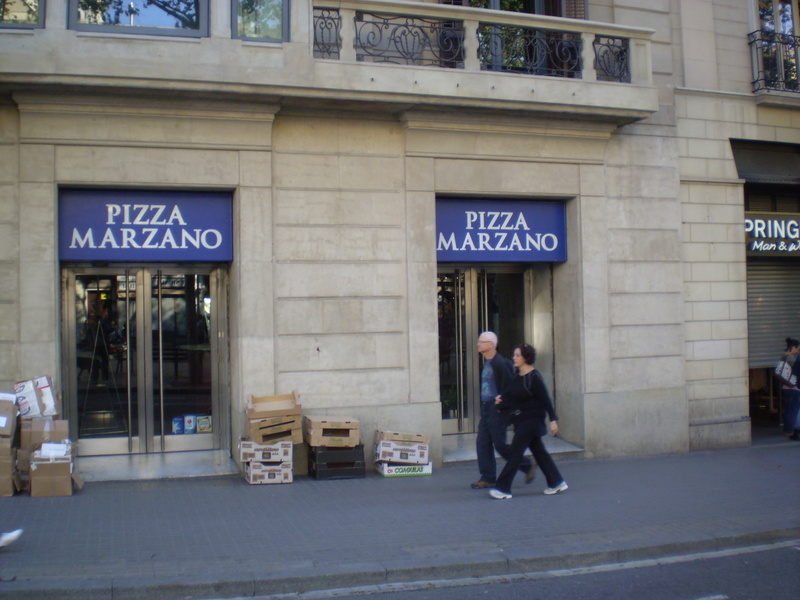 Befor we leave the Ramblas proper there is actually one place I’d bring to your attention, Pizza Marzano, decent grub and quite reasonably priced for its location, on the Ramblas, 2 mins from Pl. Catalunya. Excellent if you just want a quick bite of something familiar and safe. 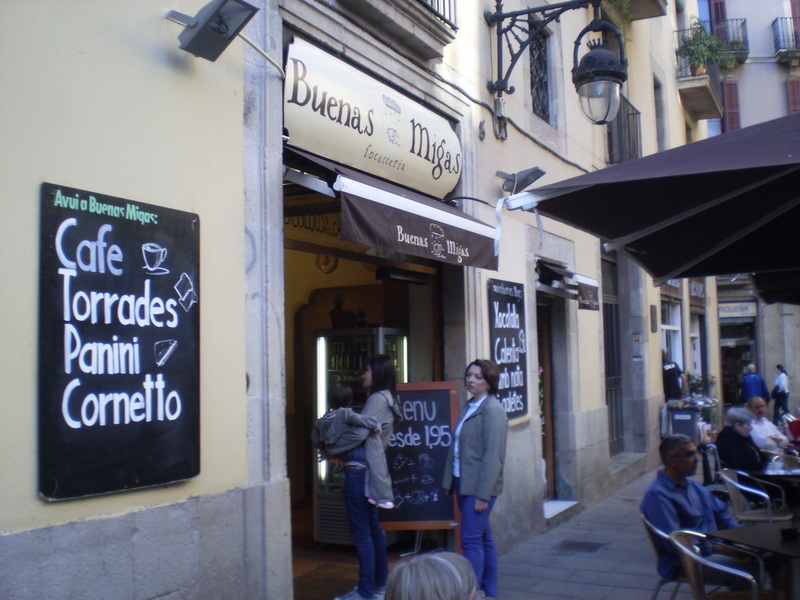 As you wander down the Ramblas from Pl Catalunya on the right hand side, two blocks down you’ll find a little side street called Bon Succes. 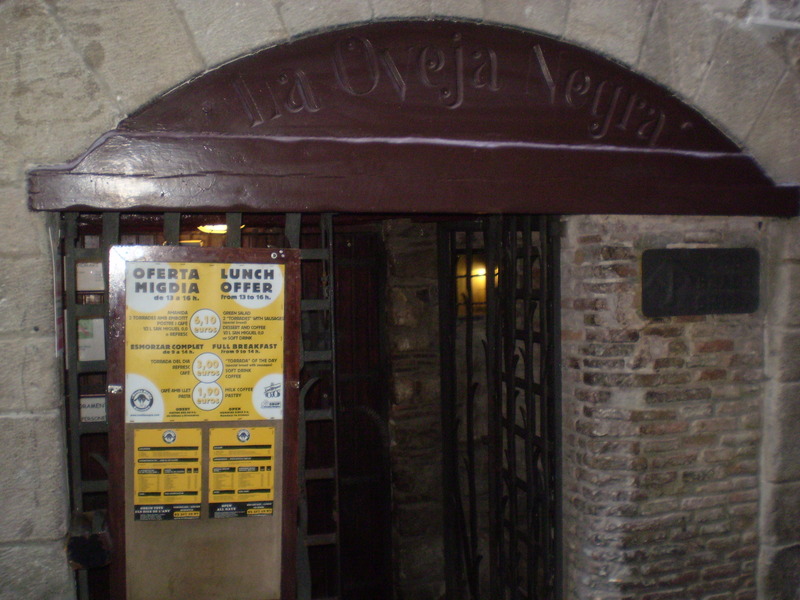 A detour along here is a grand idea, as you walk along you’ll find a nice little pizza slice shop, a fine Italian deli and if you take the first right up Carrer Sitges there is a grand pub, Oveja Negra (The Black Sheep). 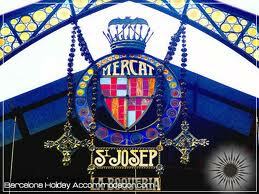 It has an interesting clientele, in a good way, and has a cracking atmosphere. Worth stopping by and not mad-expensive. I have previously bemoaned the poor quality of cakery and sweetmeatery in Barcelona, that said, a little further along Bon Succes there is a cracking little coffee place called Buenas Migas, owned by a Catalan fella and an English woman apparently, as a result of this culture fusion they do offer some belting stuff including a very acceptable scone and, unusually for this city, a proper sized mug of coffee. Good place to catch your breath and highly recommended. So, as you can see, in one mornings walk I came across a number of places worth a visit and, frankly, there are many more. Forgive the local cynicism but one thing I will say is that where there be tourists in numbers, there be robbers too. Just remember my “Don’t be a wee fanny” advice from earlier posts, keep your wits about you and you’ll come to no harm. 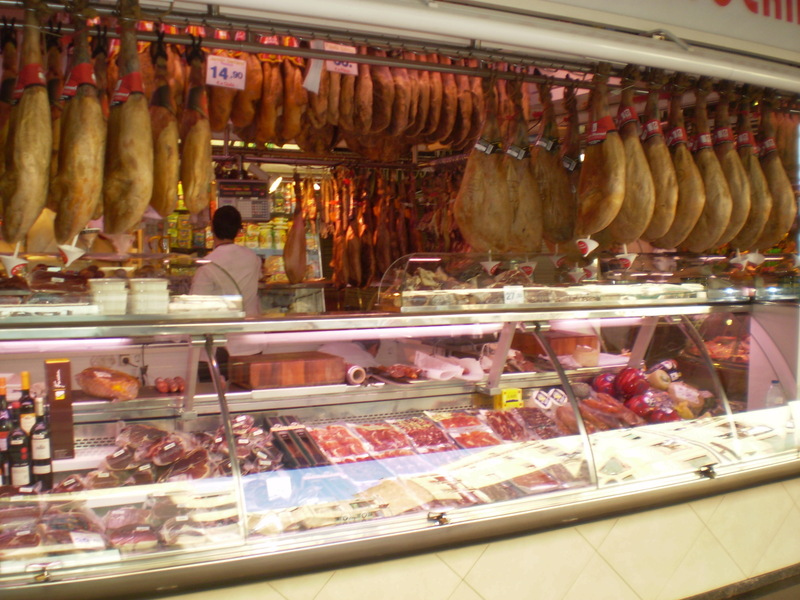 This entry was posted in Cheap food, Ramblas area, Sweet Tooth. Bookmark the permalink.